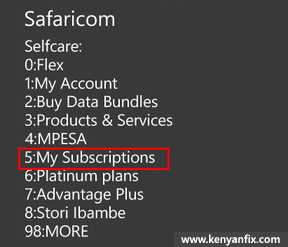 In certain situations, you might find yourself not knowing which Safaricom data bundle you're subscribed to. This often occurs after prolonged periods of not using a line. Topping up such a line may therefore result in unwanted deductions in airtime should there be active bundle subscriptions that are set to auto renew. This is usually the case with daily, weekly and monthly data bundles. 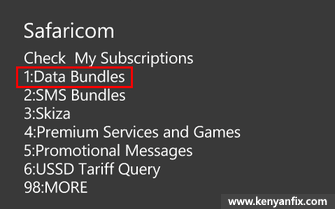 For this and other reasons it may therefore necessary to confirm which bundle one is subscribed to without having to part with some airtime. 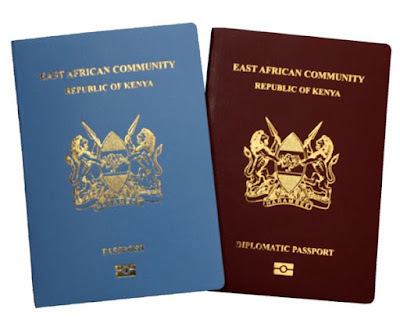 Fortunately, Safaricom provides the means to do this. 1. 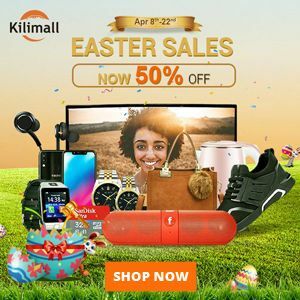 Dial *100# on your Safaricom line. 2. Reply with 5 for My Subscriptions. 3. 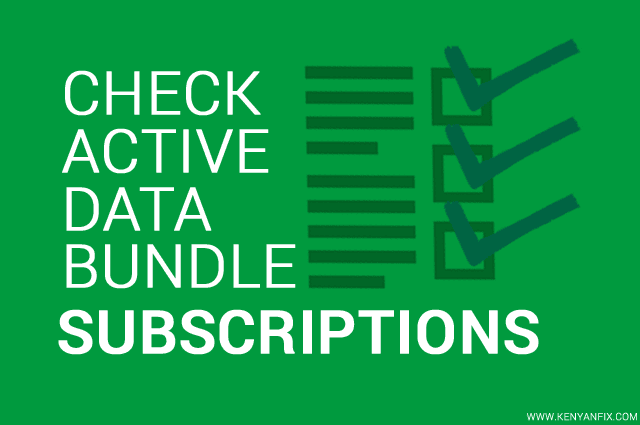 In the Check My Subscriptions menu reply with 1 for Data Bundles. 4. Next reply with 1 for View Active Bundles. 5. 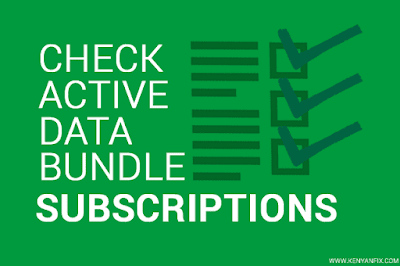 You should get a USSD reply informing you of any active bundle that you may be subscribed to.